It’s your daughter’s big day and you want to make sure everything is on point. A girl’s prom is a pretty important time in her life and chances are you want to help her start hunting for the perfect dress a year or so before the event. It’s a big decision and probably the last special outfit everyone from school will see her in. So, there’s no doubt if your daughter wants to look absolutely stunning. Once you begin the hunt with her, you’ll just know how tricky the task at hand is. With hundreds of shades, fabrics, and styles on the market, it can take ages to find the right dress for her. If you start shopping well in advance for simple and elegant La Femme prom dresses, you’re guaranteed to find the perfect piece for your daughter. 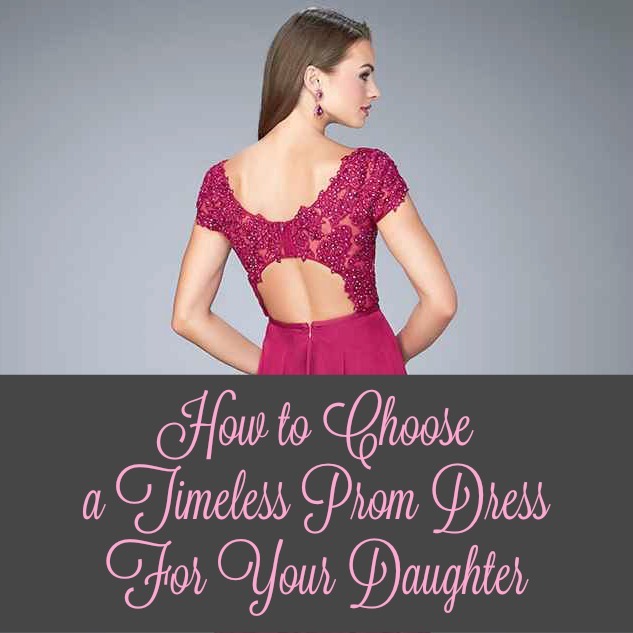 So if you’re looking for a timeless dress for your daughter’s upcoming prom, here are some points to help on your hunt. It’s a fact that anything that has lace on it will never go out of fashion and will still look incredible for the upcoming prom. If she’s not too keen on going full lace, then try incorporating a little lace into her dress by having it on the neckline and hemline to add a lacy, timeless elegance to her dress. You are rest assured that elegant, long gowns that show off her figure are still a winner amongst the new collection of prom dresses for 2016. This kind of dress style is completely classic and she can wear it for years to come, not just for prom. Mid-length prom dresses will make sure she’s dance floor ready in a flash. This style is super comfortable if she’s the kind of girl who’s looking forward to dancing all night and they typically come in a large range of styles to jazz things up. You could choose a prom dress for your daughter that has a chic bodycon or even a couple of creative embellishments. These days it’s not all about the long dresses on prom night. In fact, the 2016 prom dress trend is set to feature shorter hemlines that show off those incredible shoes. So if you and your daughter were just thinking about the dress alone, think again – it’s about the entire outfit, especially the shoes! While this may seem like a rather unconventional choice, jumpsuits are a classic making a big comeback in 2016. She won’t even need to wear a dress to prom anymore! You can get some stunning jumpsuits that exude both practicality and elegance so your daughter can still look incredible and enjoy every moment of her prom. These elegant, floaty dresses look exquisite no matter what the event and are definitely going to help your daughter make a classic entrance at the prom. Every year, labels are bringing out more daring maxis so there’s no doubt you’ll find something to suit your daughter’s taste.